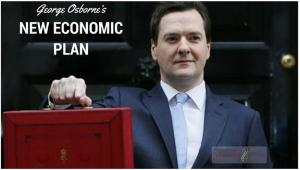 George Osborne delivered his eighth budget yesterday, featuring more spending cuts, a new type of ISA for young people, no change to petrol excise, the introduction of tax on sugary drinks and lots for small businesses. We look at what you need to know and what it means for your money. He pledged to put stability first and make Britain "fit for the future." Earlier in the day, official unemployment figures were released by the Office for National Statistics (ONS). UK unemployment remained at its lowest level since 2006, while wages rose more than expected. Average earnings went up by 2.1% in the year to January compared with 1.9% in the final quarter of 2015, excluding bonuses. UK growth has been revised down for 2016 to 2% by the Office of Budget Responsibility (OBR) from 2.4% projected for the autumn statement for 2015 and 2016. Mr. Osborne also confirmed that he will be unable to bring down debt as a proportion of GDP, forecasting it will increase to 82.6% in 2016/17 from a previous prediction of 81.7% in his autumn statement. The deficit is forecast to fall to 2.9% next year and borrowing is set to reach £72.2 billion this year, before falling to £21.4bn in 2018/19, according to the OBR. He said the economy was heading towards a surplus eventually and that he would try to cut an extra £3.5 billion before 2020. The current threshold on higher rate income tax charged at a rate of 40% current rate of £42,385 in 2016, will be raised to £45,000. The basic rate personal tax allowance will be increased to £11,500 from April 2017, with a target to reach £12,500 by 2020. It will be £10,800 from April 2016. Capital gains tax is slashed from 28% to 20% for top rate taxpayers, and from 18pc to 10pc for basic rate taxpayers in April 2016,although the existing rates (28% and 18%) will continue to apply to gains on residential property and carried interest. The insurance premium tax has been raised to contribute to the £700m increase in government spending for flood defences. Sin taxes are an easy way for the chancellor to raise a bit extra. Few can object to raising additional money from smoking. Cigarette duty will rise by 2% above inflation and hand rolling tobacco duty will rise by 3%. There will be an effective floor on the price of cigarettes. Beer, cider and spirits duty was frozen, but all other alcohol will see duty rises in line with inflation. There will be a freeze on spirits to protect the Scotch whisky industry. Fuel excise duty is frozen for the sixth consecutive year. The Chancellor is introducing a sugar tax on soft drinks to levied at manufacturers from April 2018. Delaying its introduction is to allow brands to change and develop lower sugar based products. It is too early to tell if the tax will be passed onto consumers. The measure is expected to raise £520million in 2018 and excludes fruit juices and milk-based drinks. Shares in listed drinks firms dropped sharply following the Chancellor's sugar tax announcement. An hour after he sat down, shares in the following firms were affected AG Barr (makers of Irn Bru, Tizer and St Clement's) down 5%, Britvic (Robinson's squash) 3% fall and Nichols (Vimto) down 11%. The Chancellor announced a new 'Lifetime ISA' that will be available from April 2017. The accounts will allow anyone under the age of 40 to save up to £4,000 a year and receive £1 for every £4 they save. The government will also give savers the option to merge the new ISA with the Help to Buy ISA, that means it can be used to buy a first home with the government bonus at any time from 12 months after opening the account, and can be withdrawn from the Lifetime ISA with the government bonus from age 60 for use in retirement. The Lifetime ISA will work like a pension, except that funds won’t be locked in until retirement, although you will forgo the government perk. 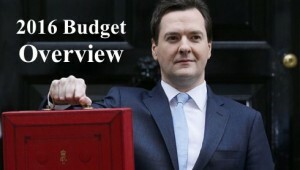 This reinforces the Chancellor’s move towards greater flexibility in pension saving. You can get initial details on the Lifetime ISAfrom the HM Treasury site by clicking here. The allowance for existing ISAs will be raised to £20,000 from the current £15,240 for 2016/17. The OBR predicts an added 0.3% to level of house prices as an indirect effect of 'Lifetime ISA' and £20,000 ISA limit. The Chancellor also confirmed the Help to Save Scheme for low paid workers announced earlier this week. Employees on in-work benefits who put aside £50 a month will get a bonus of 50% after two years - worth up to £600. That could then be continued for another two years with account holders receiving another £600. The Money Advice Service which has provided financial advice to consumers since 2010, is to be abolished and replaced with tax relief on financial advice. The Chancellor announced he is permanently raising the threshold for small business rate relief, taking 600,000 small businesses out of tax by April 2017. Small business rate relief will increase from £6,000 to £15,000. Business rates will also be linked to CPI, the official measure of inflation which has historically been lower than the RPI rate it is currently linked to. He has also pledged to reduce the rate of corporation tax to 17 % by April 2020 from its current rate of 20%. The entrepreneurs’ relief 10% tax rate to capital gains made by long term investors in unlisted trading companies has been extended. The Chancellor introduced a tax free allowance of £1,000 a year for ‘micro-entrepreneurs’ to help people that trade via platforms like E-Bay and rent out their homes on AirBnB. Currently self employed individuals don’t have to pay Class 2 National Insurance (NI) if they earn less than £5,965 per annum, but they can also choose to make voluntary contributions. The chancellor will abolish Class II NI contributions for the self-employed from 2018. Major tax cuts have also been announced for the oil and gas industry amid falling global prices, with the supplementary charge being cut from 20% to 10%. Following changes to potential landlords and second homeowners with an additional 3% stamp duty charge that takes effect in April. The Chancellor confirmed that large investors will also be affected by the extra tax. Commercial stamp duty of 0% rate on purchases up to £150,000, 2% on next £100,000 and 5% top rate above £250,000. New 2% rate for high-value leases with net present value above £5m. Effective immediately - raising £500 million a year. This has been a light budget by modern standards. The backdrop of uncertainty in global economies and markets and the EU Referendum limited the Chancellor’s scope for change. So all eyes will be on his Autumn statement in November now. Here are the headlines that we expect to see politicians will debate over coming weeks. The Chancellor has broken his fiscal rule: net debt has risen and promises it will still fall year on year. Corporation Tax changes means he will get a cash boost for 2019/20 when he's promised to reach surplus. Fuel duty freeze doesn't cost very much, just £400m a year, but it will be popular for him. Where the £3.5bn of austerity cuts by 2019/20 will come from is unclear. He has made a significant move towards reforming pensions with the Lifetime allowance. Levels, bases of and reliefs from taxation may be subject to change and their value depends on your individual circumstances.